Our MHC&S Firm has been fortunate to be named one of the 2015 Accounting Today’s Best Accounting Firms to Work For and one of The Des Moines Register 150 Top Iowa Workplaces. The Best Accounting Firms To Work For is a list comprised of a total of 100 companies nationwide, split into three groups, small-sized companies (15-49 employees), medium-sized companies (50 – 249 employees) and large-sized companies (250 or more employees). Accounting firms from across the country entered the two-part survey process to determine Best Accounting Firms to Work For. The first part consisted of evaluating each nominated firm’s workplace policies, practices, philosophy, systems, and demographics. The second part consisted of an employee survey to measure the employee experience. The Top Workplaces was set up by the folks at WorkplaceDynamics, and the program is based on one simple belief: “The most successful companies are the ones that employees believe in.” The program recognizes good employers on 30 regional lists and one national list. The evaluations for the list are based purely on employee opinions, which are gathered through WorkplaceDynamics employee survey. What makes a workplace great? Responses from the 150 Top Iowa Workplaces show that a great workplace gives their employees a feeling that the work they are doing makes a difference, which contributes to a clearly articulated vision of where the entities are going and how they plan to get there. For me, one thing that makes MHC&S a great place to work is the ability to have good work/life balance. We are fortunate enough to have flexible work schedules that allow us to attend important family events, which may happen during the day, and we are also able to work from home when needed. With two young boys at home, it’s important to me to be able to attend the special events in their lives, like graduating from preschool, and to be able to work from home when needed. LinkedIn – What’s the Big Idea? Most professionals these days have a LinkedIn account. In fact, most college students do, too. After all, it’s a great way to find jobs, right? But what about those of us who aren’t looking for jobs anymore? We’re settled into our jobs and are focused on making the most of our days at work, our relationships with our coworkers, and our personal relationships outside of work. I think many of us at some point in time have thought, “What’s the point anymore? Why am I doing this?” and have ignored LinkedIn and let our account sit barren and unloved for months at a time. LinkedIn, though, is not a job search website. That’s why we have indeed.com, jobs.com, and other similar sites. LinkedIn is a brand website, for both your personal brand and your business brand, regardless of your position in a company. Everything you do on LinkedIn is somehow tied back to the company for which you work. Sound a little scary? It should; it does to me, too. But the more we put out productive information on LinkedIn, the bigger online presence we are creating for both ourselves and our company. I know what you might be thinking. Why do I need a personal brand if I’m not looking for a job? Well, is it really a brand if you only portray it when you need it? Browsing LinkedIn every day is easy and actually a lot of fun. I have learned so many things about friends, professional connections, and general business simply by scrolling through my home page once or twice every day. And it’s easy to create a brand by doing this. You can endorse connections and like their posts to create a brand that says, “I’m supportive and approachable.” And you can share nuggets of good information to say, “I’m up to date on what’s going on, and I strive to learn something new every day.” Even if you aren’t job hunting, nothing wrong with that, right?! Not in marketing? That’s O.K. Every individual in every business has a part in creating a business brand. A business with bad workers but good marketers will still be less successful than a business with good workers but horrible marketers. Every person counts. How does this relate to LinkedIn? Well, your personal LinkedIn profile is connected to the business profile of the company for which you work, similar to the way your company’s social media activity boosts the activity level of your company’s main website page in search engine optimization (if you haven’t looked into this, you should!). The more you like, comment, endorse, recommend, and share on your personal LinkedIn, the more your company’s page posts will be seen other LinkedIn users. Not every post on a page is seen by every follower, just like not everything you post on Facebook is seen by your crazy aunt who always comments on things (phew!). But, the more you participate in LinkedIn, especially liking and commenting on your company’s posts, the more public visibility those posts will have. If I haven’t convinced you yet, just give it a shot. I think you’ll see that if you post one article at least every other day and like and comment on others’ posts, the amount of people who look at your profile will drastically increase. Maybe you don’t need a new job, but new connections are never bad. 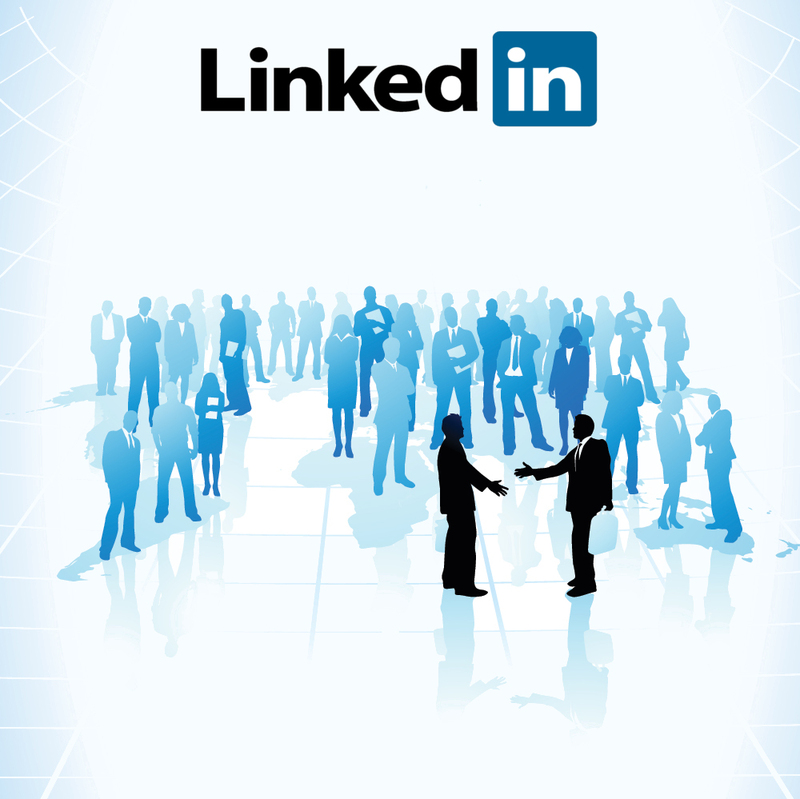 After all, LinkedIn is a networking site, not a job search site. Marketing Assistant – McGowen, Hurst, Clark & Smith, P.C. You are currently viewing the archives for September, 2015 at McGowen, Hurst, Clark & Smith.